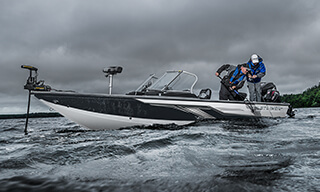 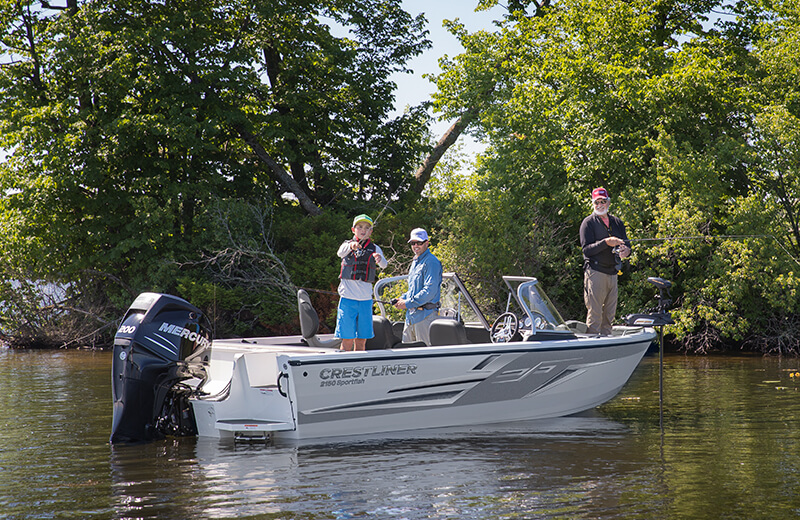 Go from fish to ski, and back, in seconds with Sportfish’s conversion bow. 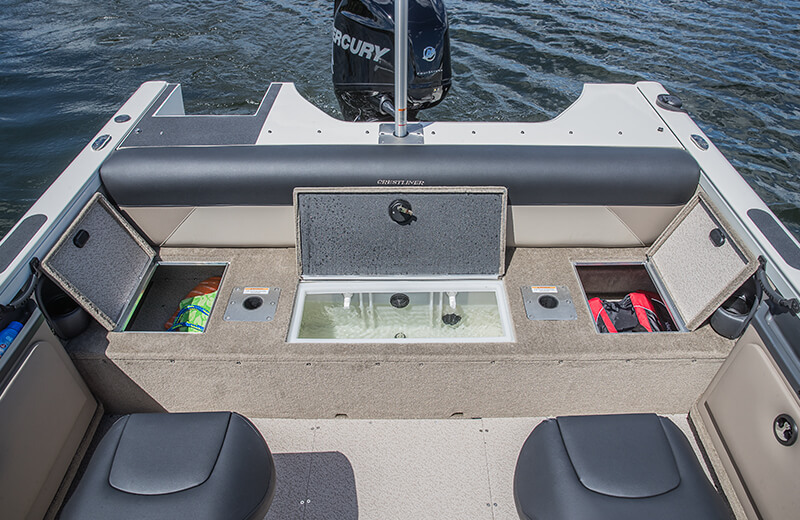 Innovative vinyl-wrapped side storage with topside cubby tray. 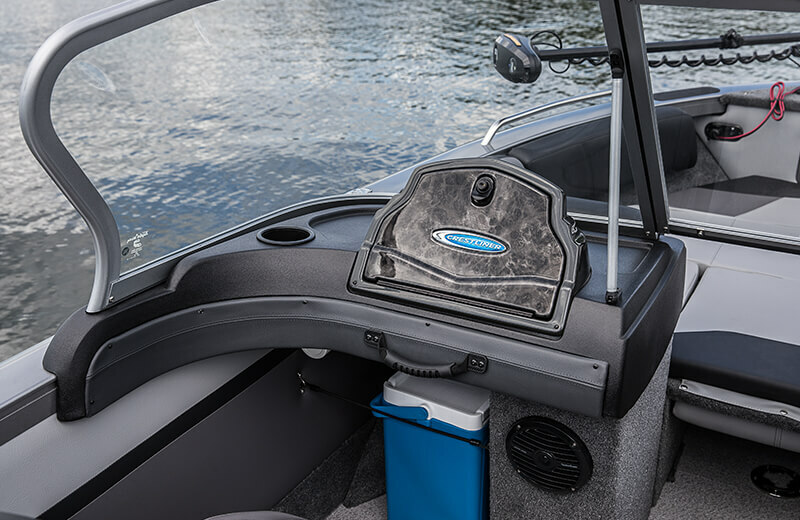 The feature-rich helm station features stitched vinyl-wrapped panels, a Boss® stereo w/USB charging port and Bluetooth capability. 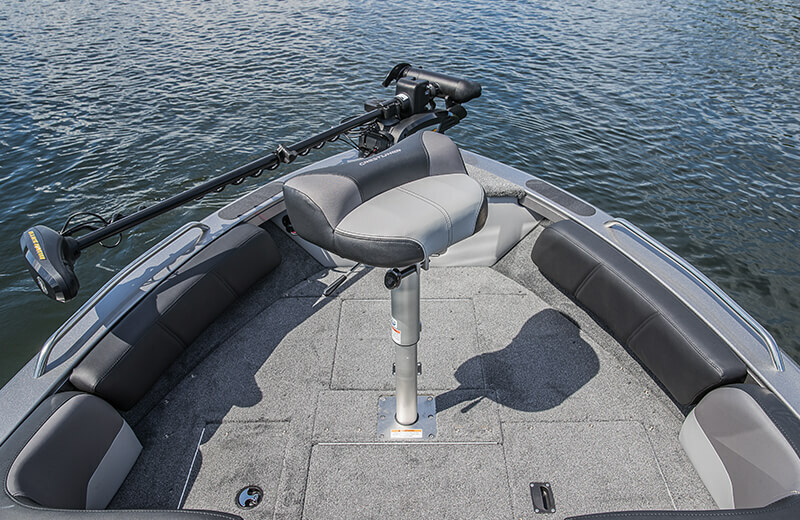 Fishermen on long treks will appreciate the additional support of the pro style seats. 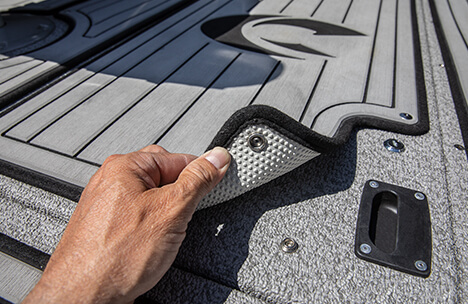 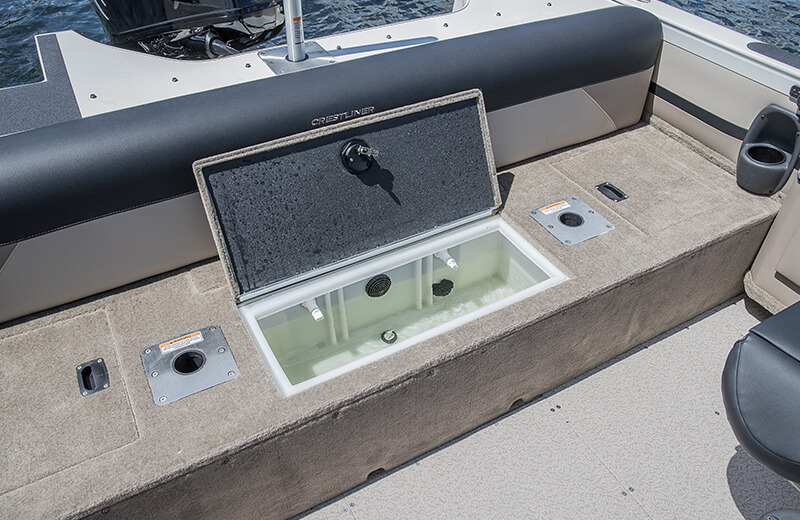 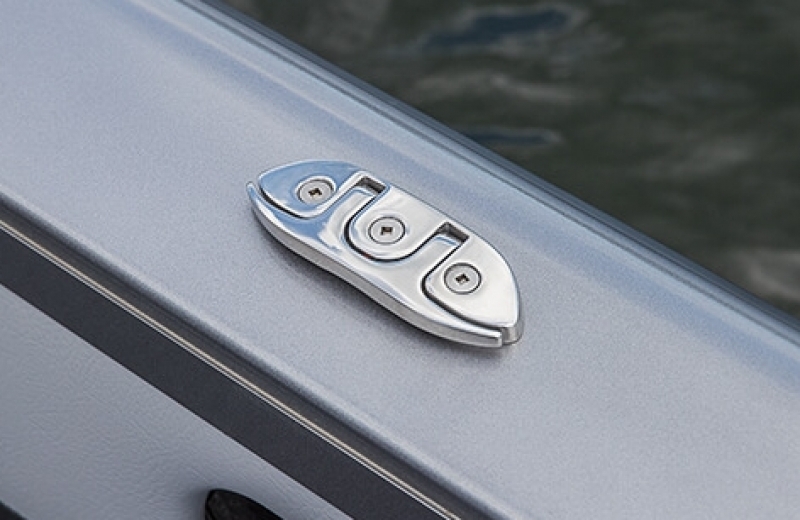 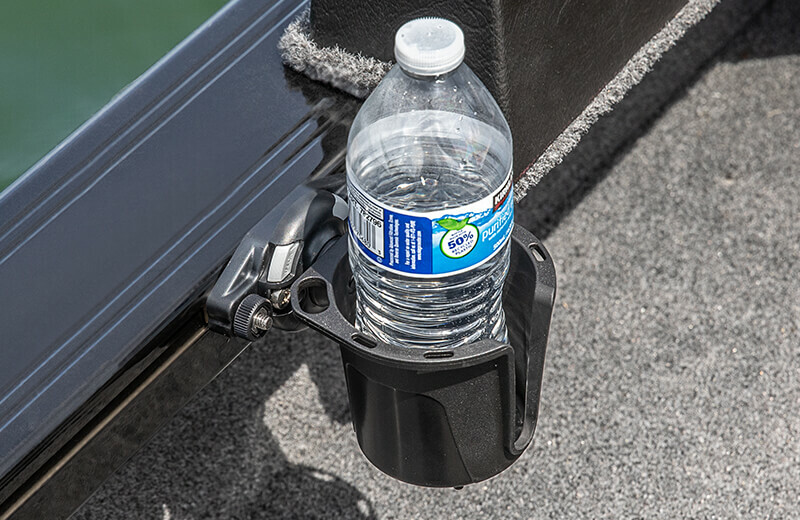 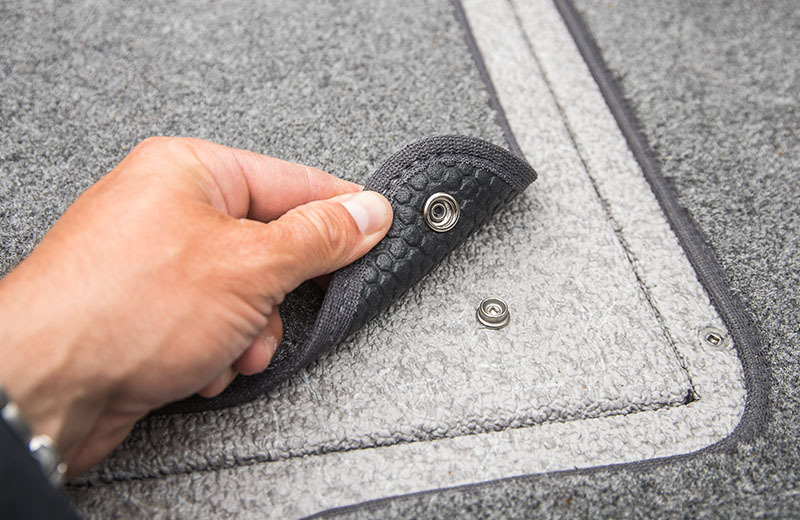 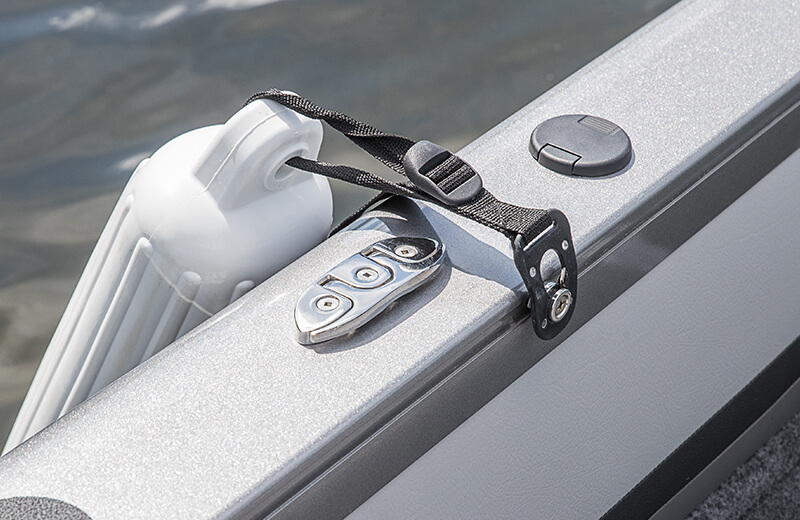 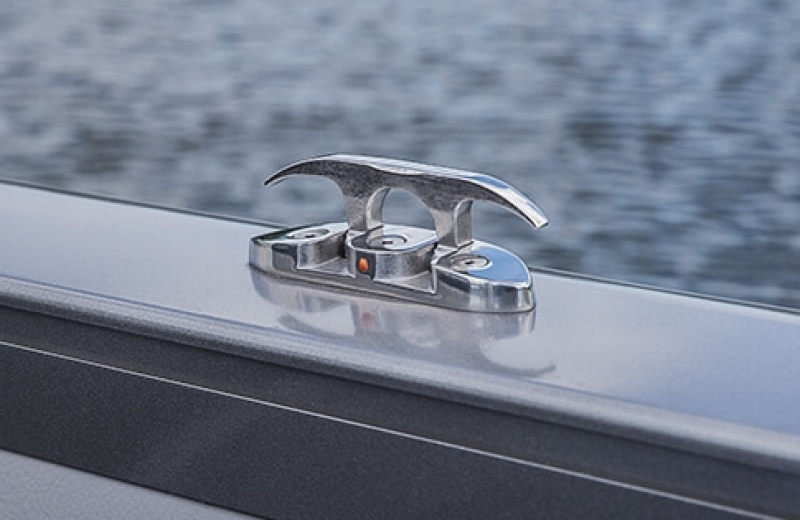 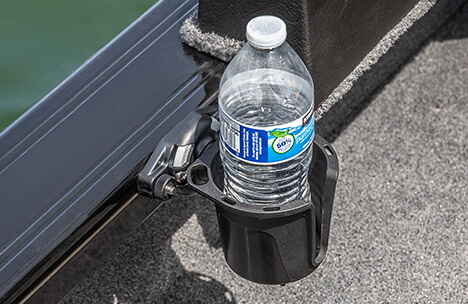 New removable SureMount aluminum accessory brackets let you slide your favorite accessories along the gunnel for perfect placement without drilling. 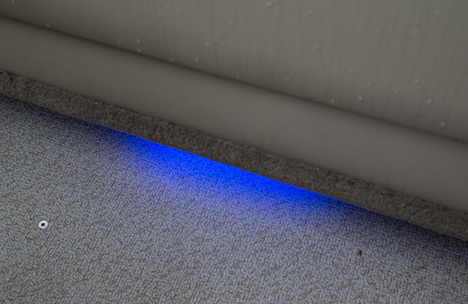 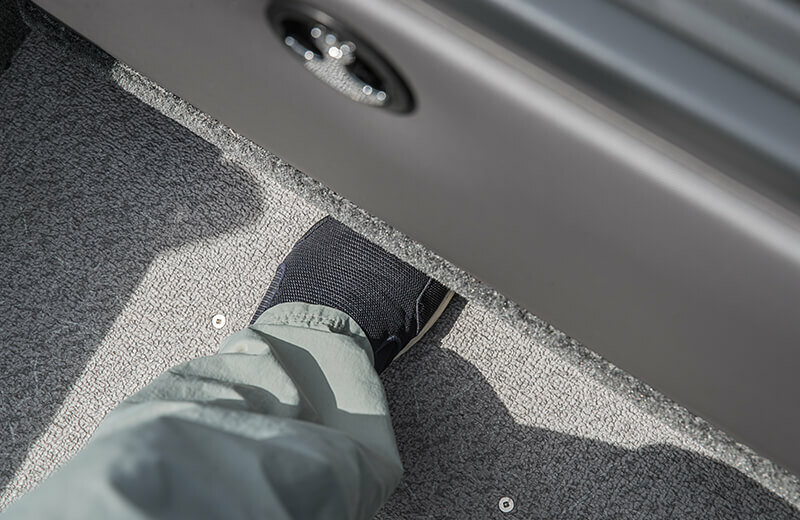 Under-gunnel blue LED lights keeps the inside of your boat illuminated and your toe holds ready for action. 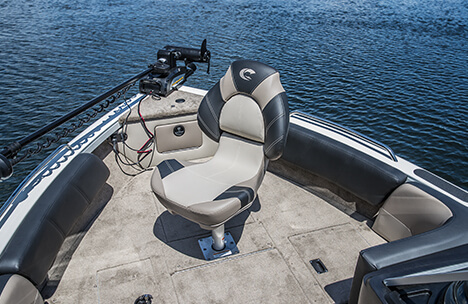 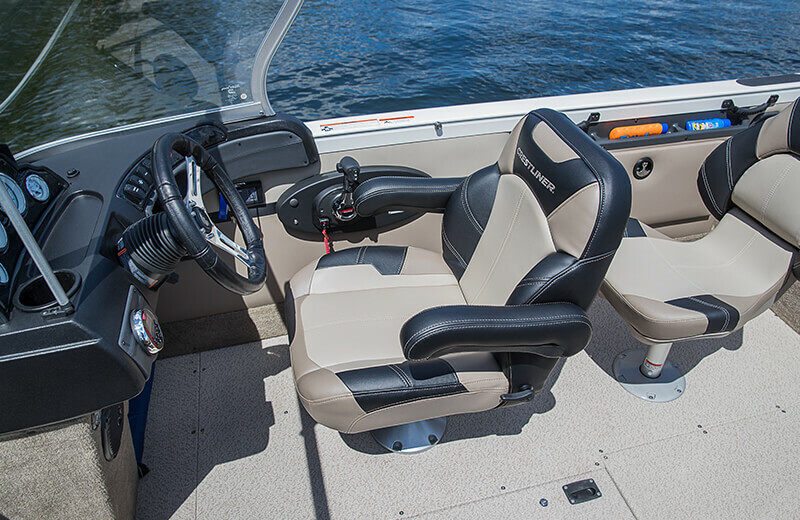 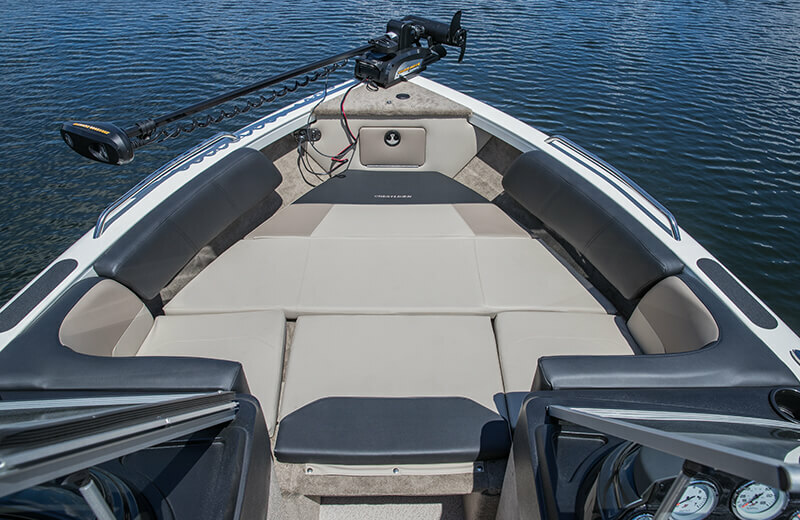 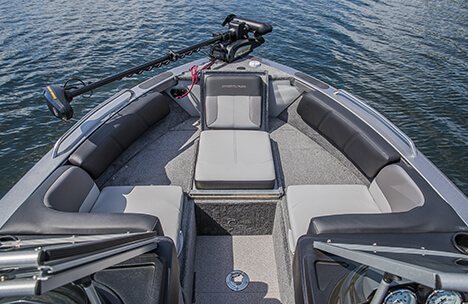 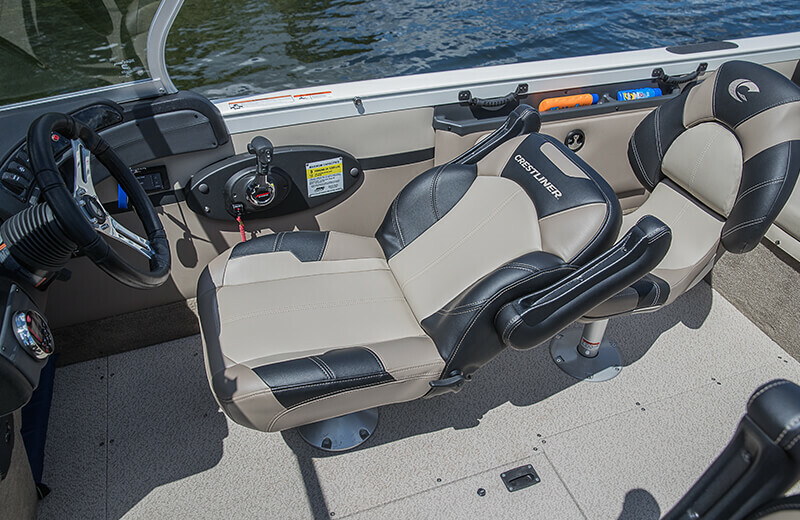 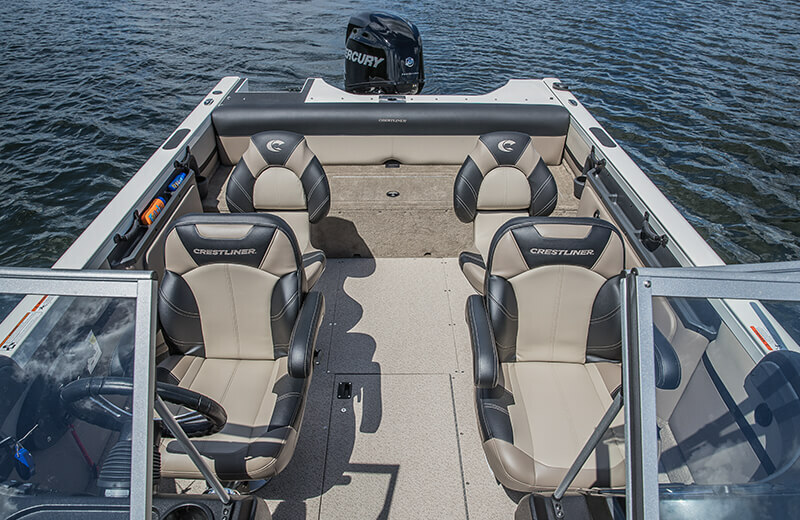 Dual armrests and supple cushioning make the Reclining Captain's Chair a popular choice among anglers who value comfort. 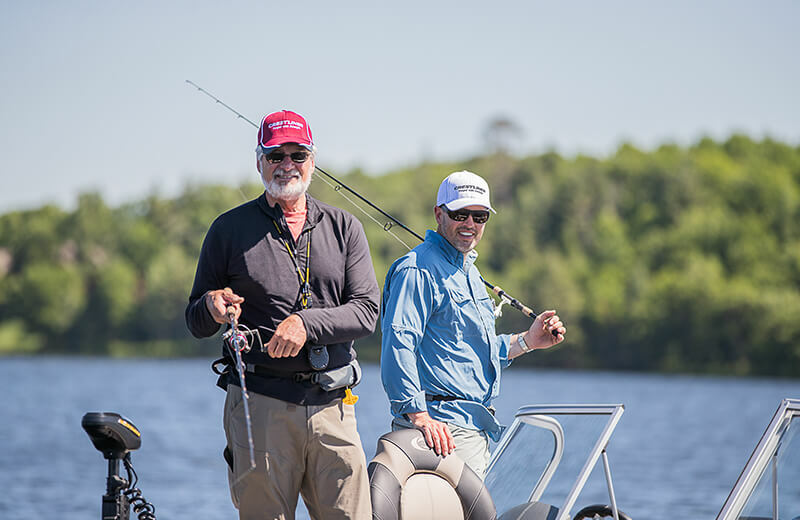 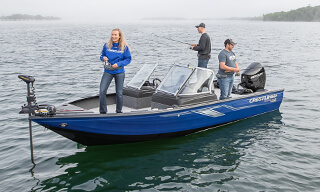 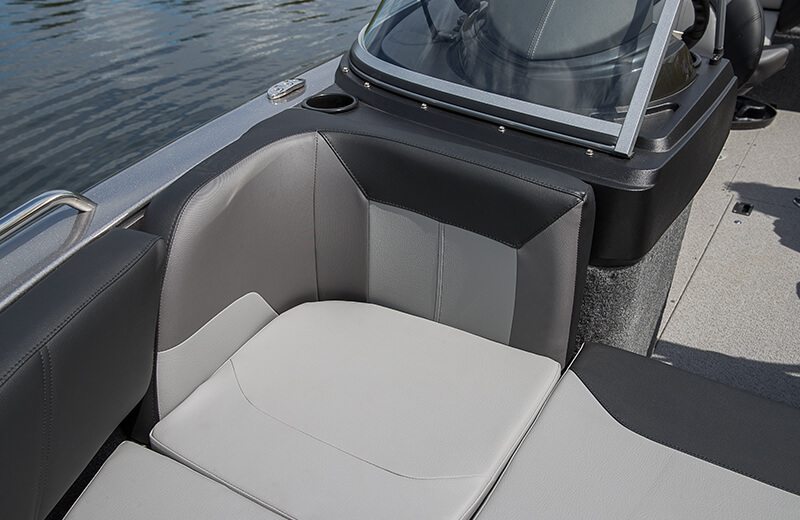 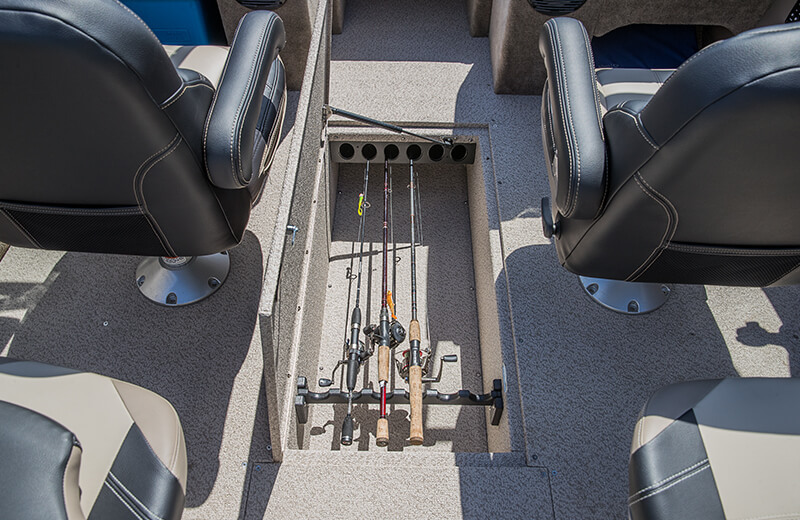 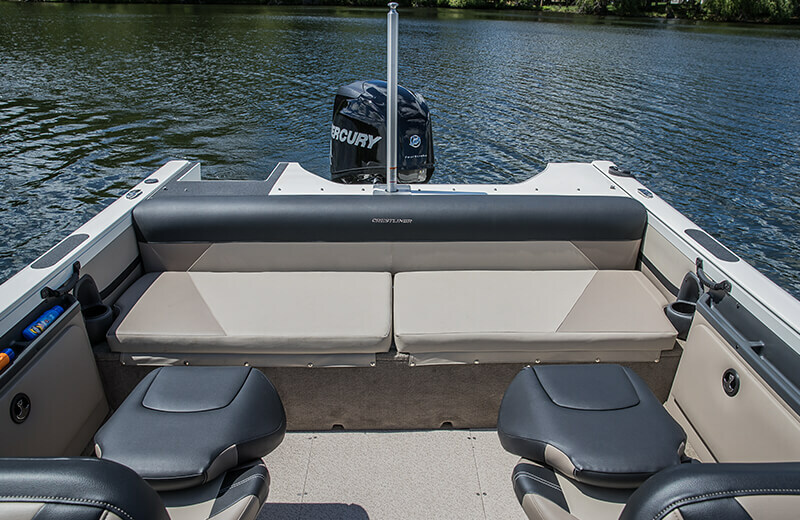 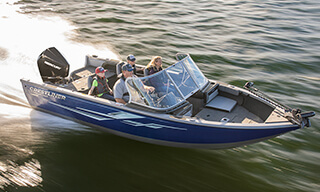 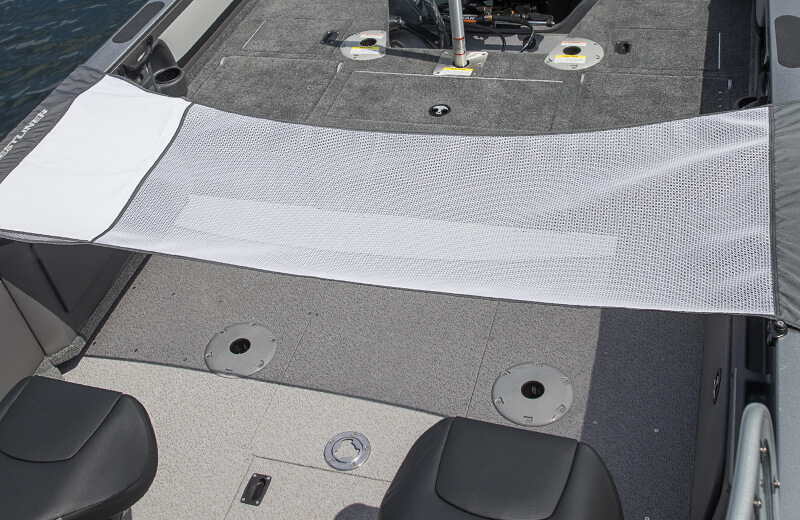 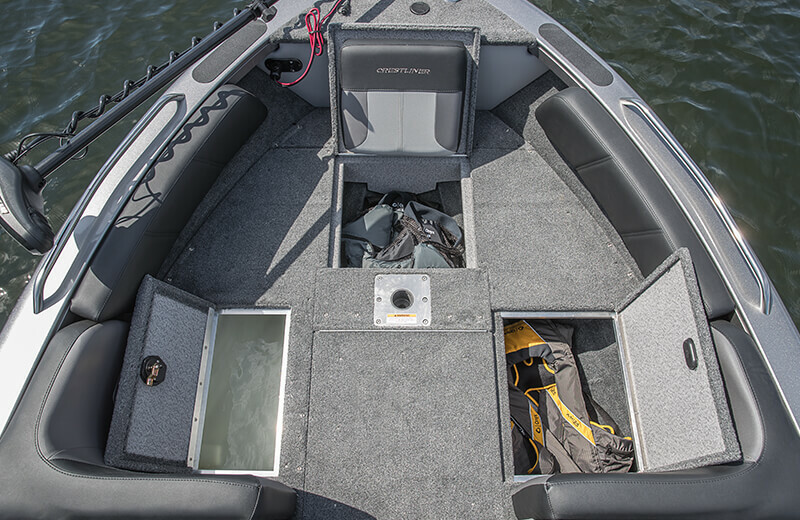 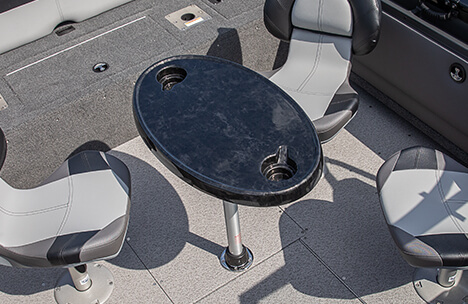 From lunch with the family to hosting friends for a cruise, give your roomy Sportfish even more comfort with a removable table that fits in the bow or cockpit. 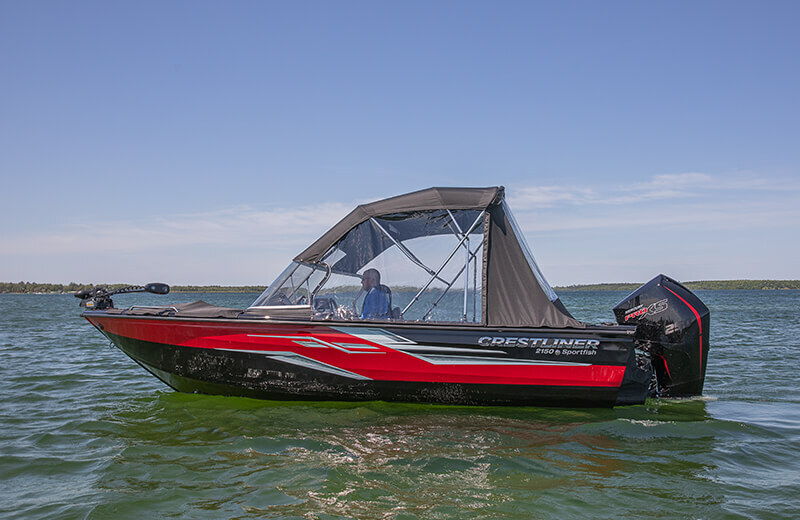 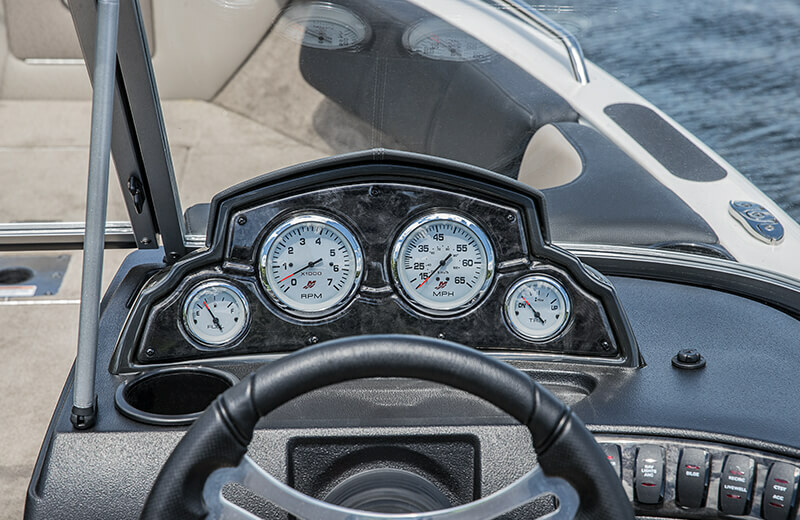 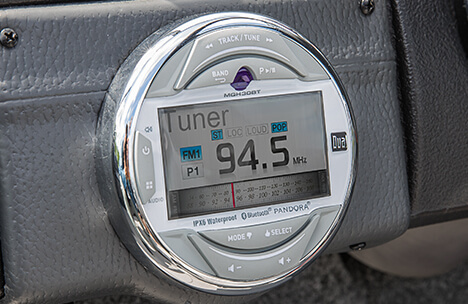 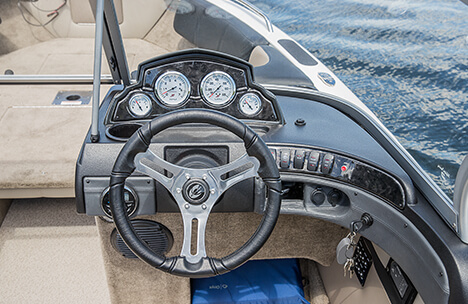 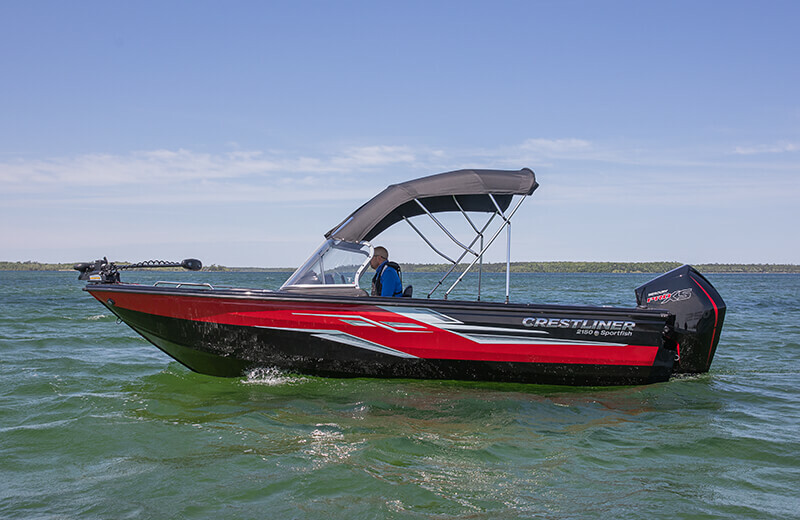 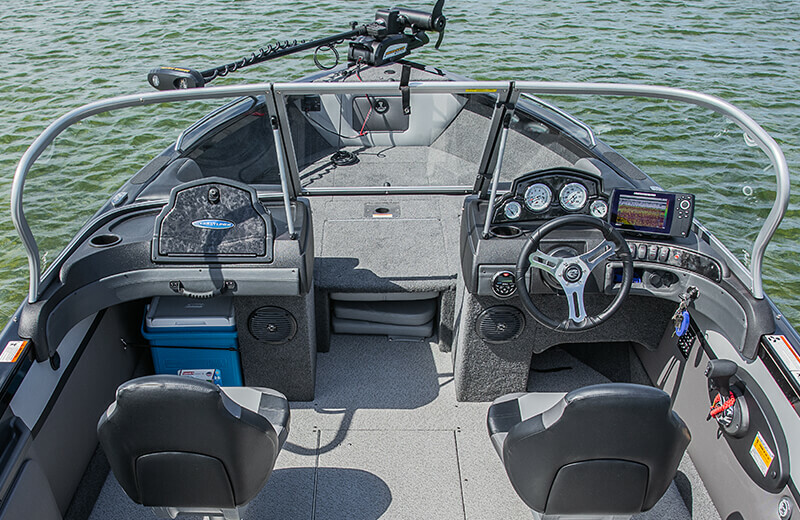 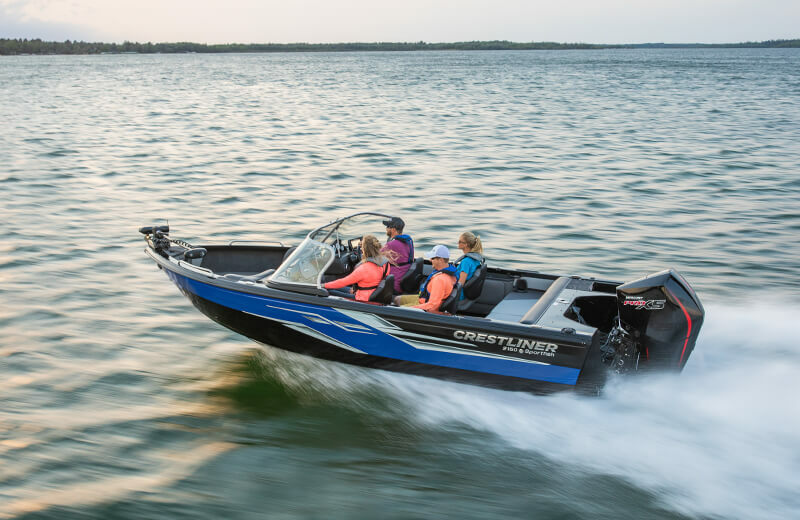 Set the stage for fun on the water with the Dual audio system upgrade, complete with USB charging port, large color display, Bluetooth and Pandora capability. 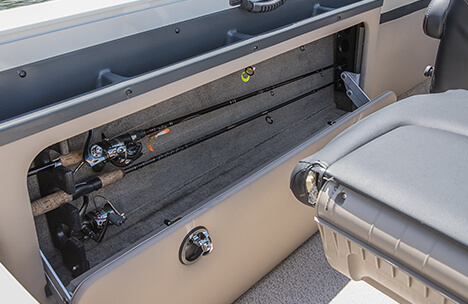 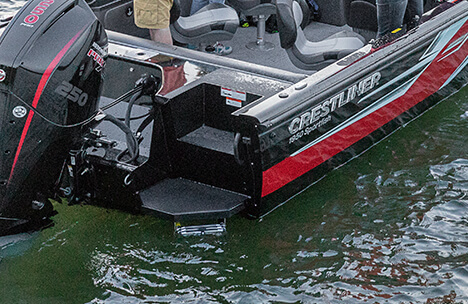 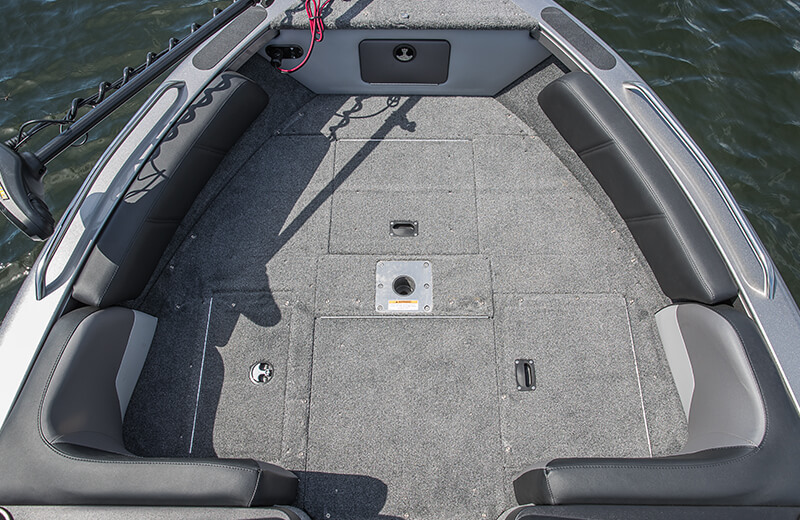 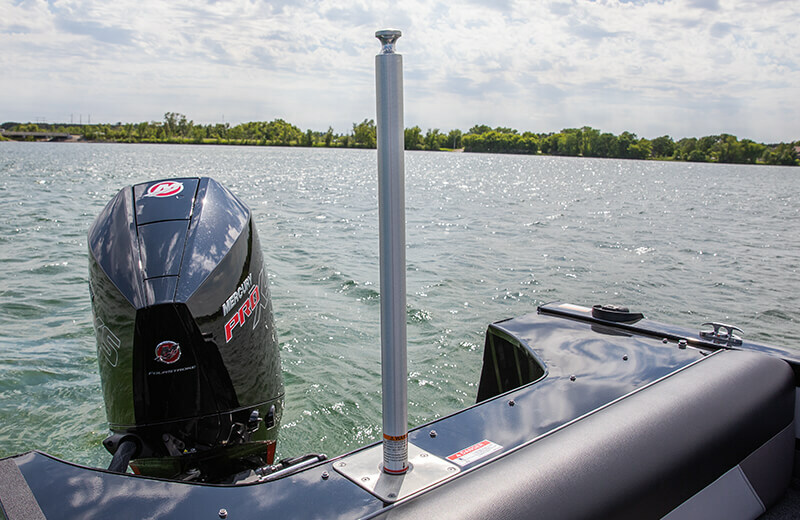 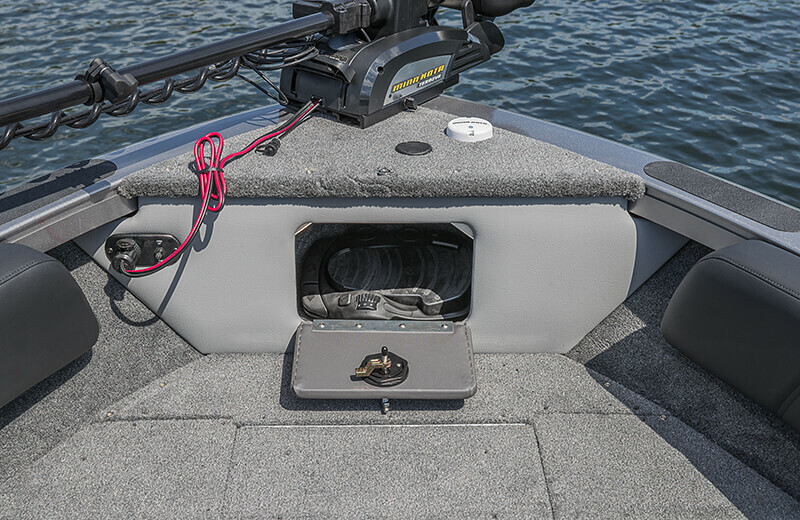 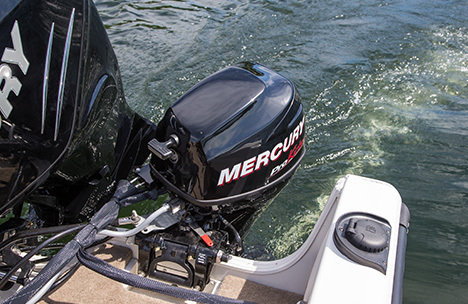 Tap into the Sportfish’s trolling potential with the optional 10hp or 15hp Mercury ProKicker 4-Stroke Kicker Motor.